The Board of Directors of the State of Alabama Sports Hall of Fame have announced the Class of 2019 to be inducted into the Alabama Sports Hall of Fame on April 27, 2019. The class was selected by ballot through a statewide selection committee; votes were tabulated by the firm of Pricewaterhouse Coopers. 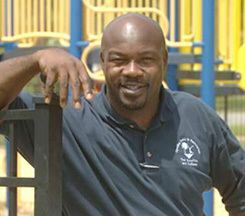 Former Opelika resident and Super Bowl champion Tommie Agee is one of next year’s eight class inductees. Born Feb. 22, 1964 in Maplesville, Agee played football at Auburn University, where he was a four-year starter at fullback as lead blocker for Bo Jackson. He finished his college career with 356 carries, 1,733 rushing yards and 13 touchdowns. He was drafted by the Seattle Seahawks in the 5th Round of the 1987 NFL Draft. He played one year for the Seahawks, one year for the Kansas City Chiefs and five years for the Dallas Cowboys. While he was with the Cowboys, they won two consecutive Super Bowl Championships (Super Bowl XXVII and XXVIII). 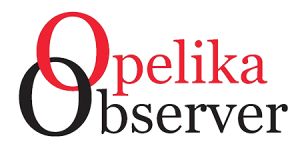 After his football career, he returned to the area and worked as the assistant director for the Opelika Parks and Recreation Department. In July, he left Opelika and joined the City of Andalusia as the Director of Leisure Services and special assistant to Mayor Earl Johnson. Bill Burgess, Willie Davenport, Luis Gonzalez, Bud Moore, Antonio Langham, Steve Savarese and Catherine Reddick Whitehill are the class’s other inductees. Starting with the first class in 1969, this will be the 51st Class inducted into the Alabama Sports Hall of Fame. The eight newly elected inductees will bring the total number of inductees to 361. The 51st Induction Banquet and Ceremony will be held in the Birmingham Ballroom, at the Sheraton Birmingham Hotel. For more information, call the Alabama Sports Hall of Fame Museum at 205-323-6665.